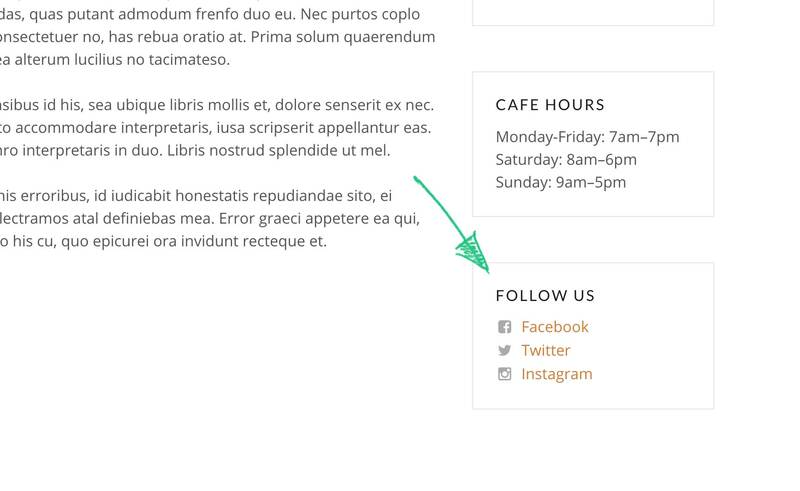 Counter allows you to create a menu with social icons that will appear next to each menu item. 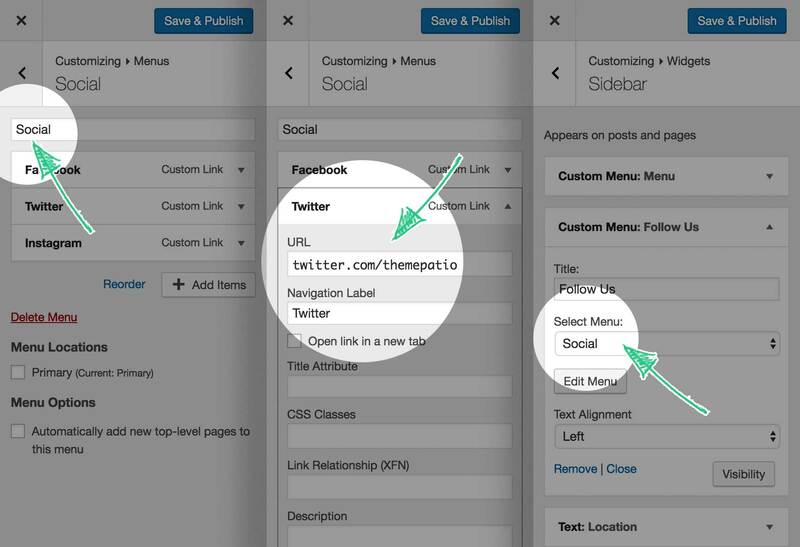 To create a menu like this, simply call it Social, and use Custom Link option to add links to your social profiles. Counter will recognise the links and add icons automatically.